Ecuador is a biker’s paradise and while exploring we will take you off the beaten path. 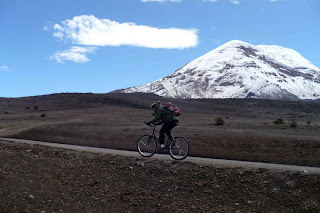 With its three very different natural regions highlands, Amazon rainforest and the Pacific coast, Ecuador offers a great range of incredible biking routes through the most varied and amazing landscapes. We have our own bike operation of longer tours with specialist guides and logistic support. Itineraries are tailormade according to your preferences.